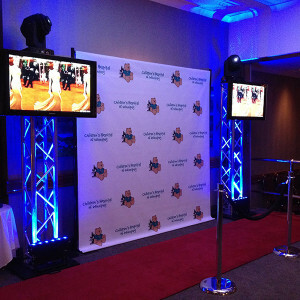 Wow your guests when they arrive at your event reception in style on the Red Carpet with our high quality Media Wall. The Paparazzi will take your picture and print a high quality 4×6 print as a keepsake. It’s great for displaying Sponsor’s Logos and the Bride and Groom’s names. Let us create a custom TV Media Backdrop and Press Wall. 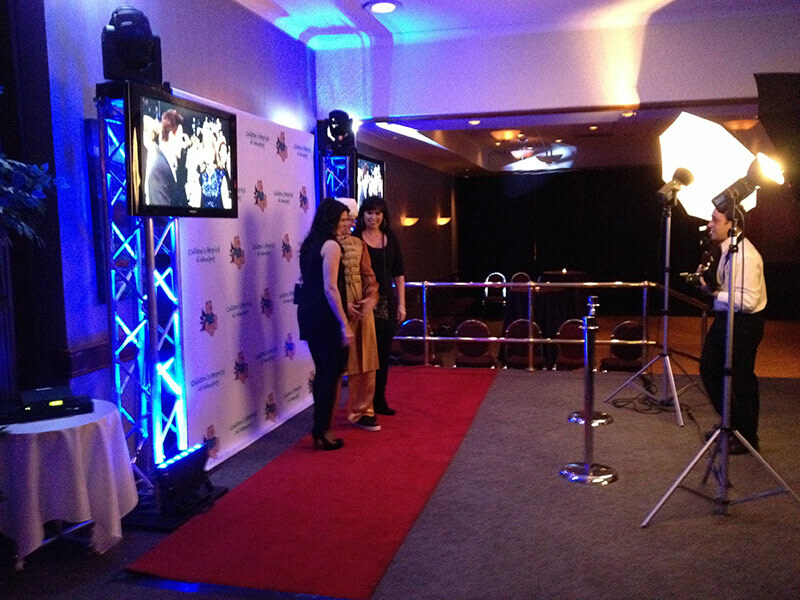 It’s where all the movie stars stand to have their photos taken on the Red Carpet. 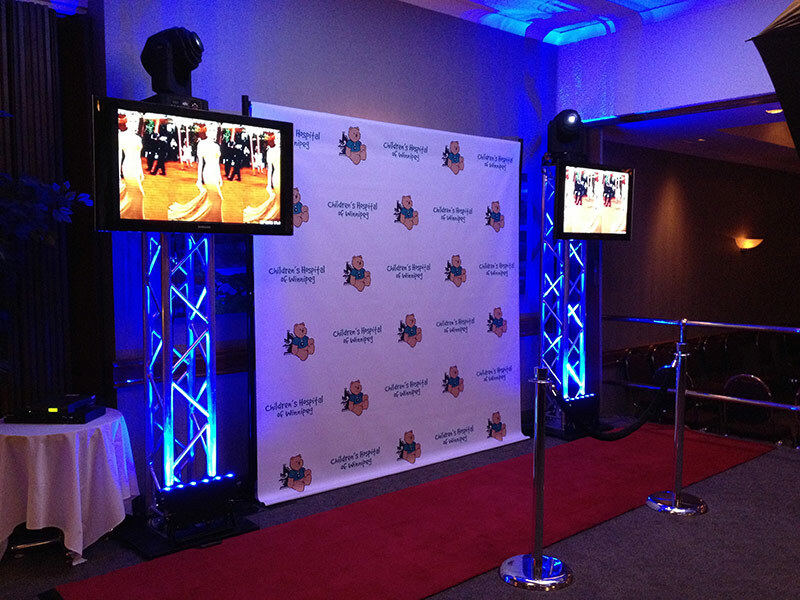 Our Red Carpet Experience / Media Wall is the perfect backdrop for a photo op at Bar & Bat Mitzvah Parties, Weddings, Corporate Events, Conferences, and Special Media Events. Create the perfect media photo set for your guests! 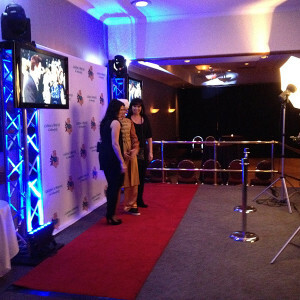 If you are interested in booking the red carpet for your next event, please call 204.981.0379.